…for being candid and frank. …for helping a fallen brother. …for being honest in business. 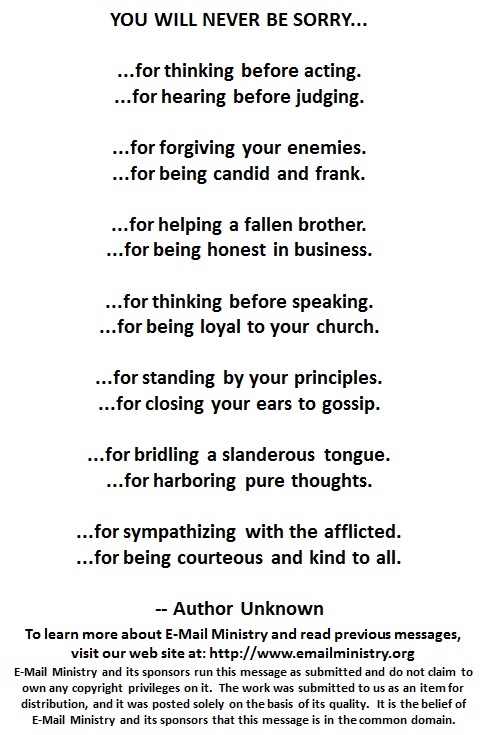 …for being loyal to your church. …for standing by your principles. …for closing your ears to gossip. …for bridling a slanderous tongue. …for sympathizing with the afflicted. …for being courteous and kind to all.